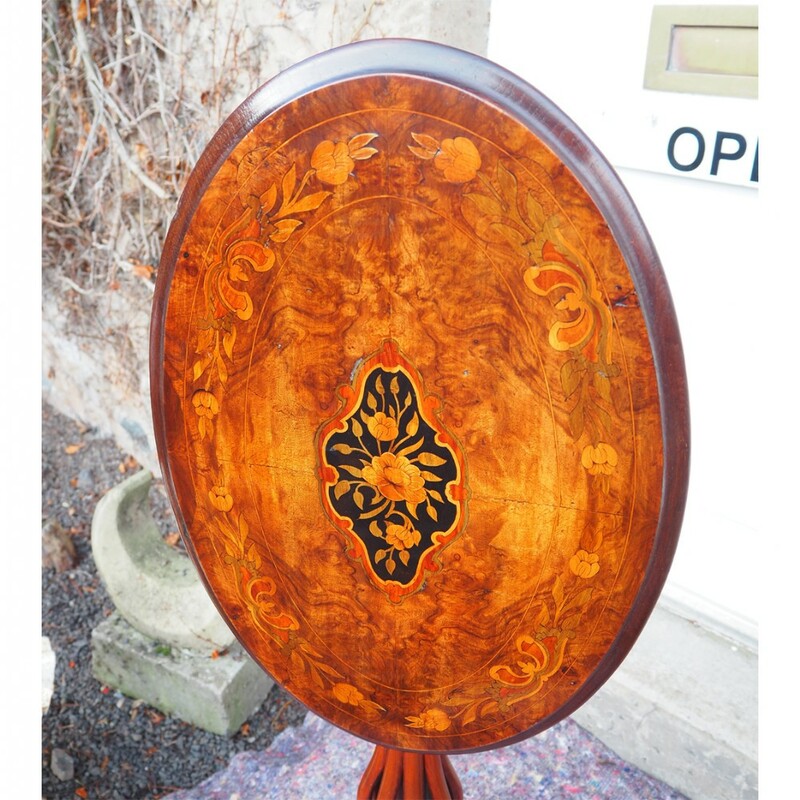 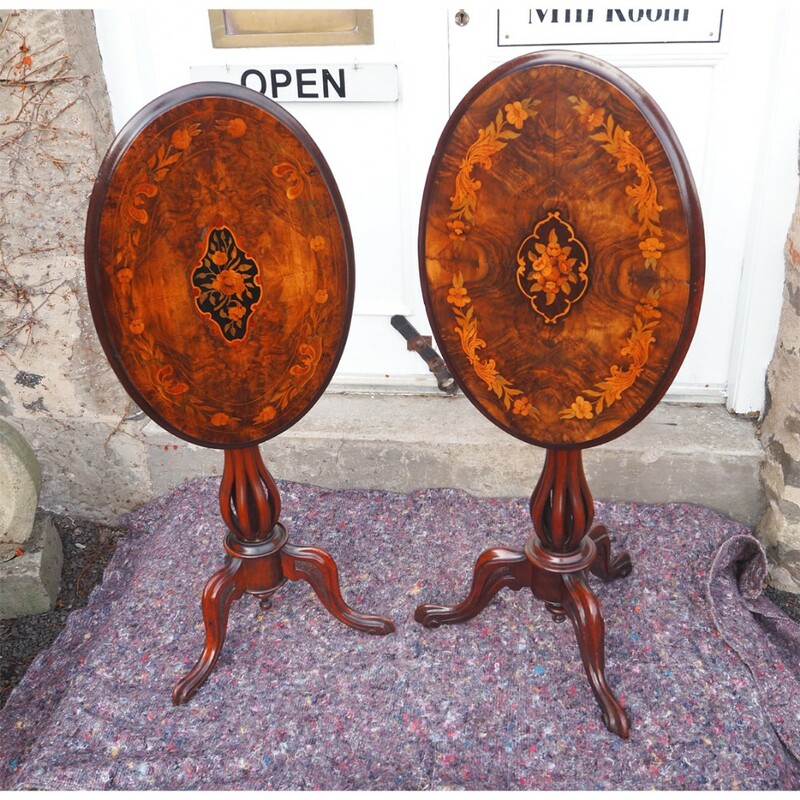 FINE near pair of Victorian walnut, burr walnut and marquetry inlaid oval tip-top tripod tables. 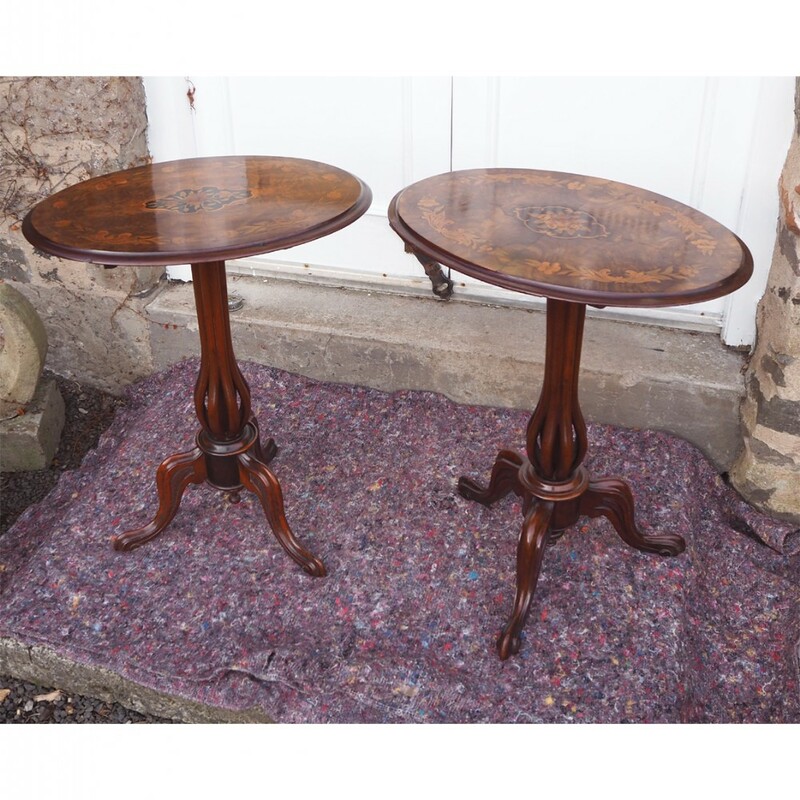 These two tables obviously came out of the same workshop and are almost a pair, there are slight, minor differences. 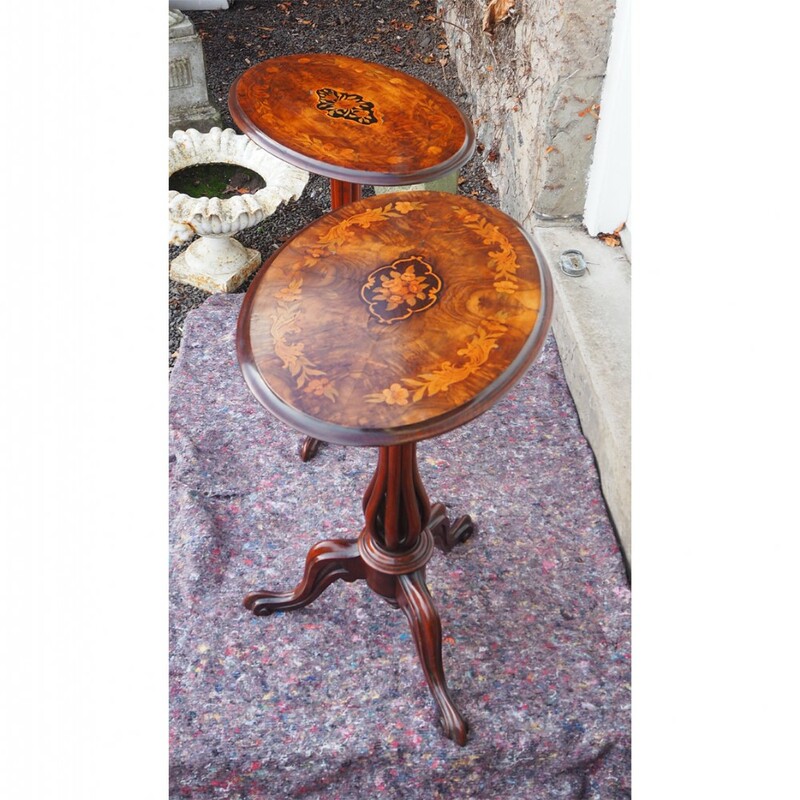 Very unusual shape solid walunt bases with unusual design column with carved tripod legs. 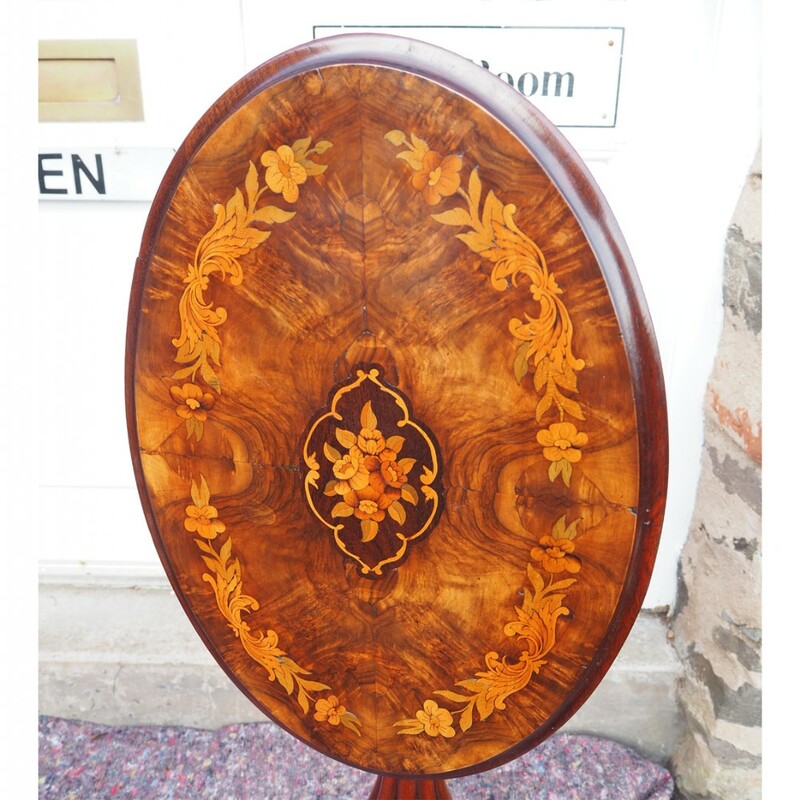 The tops are oval with thumb moulding to the edges and are quarter veneered in burr walnut with intricate marquetry inlays. 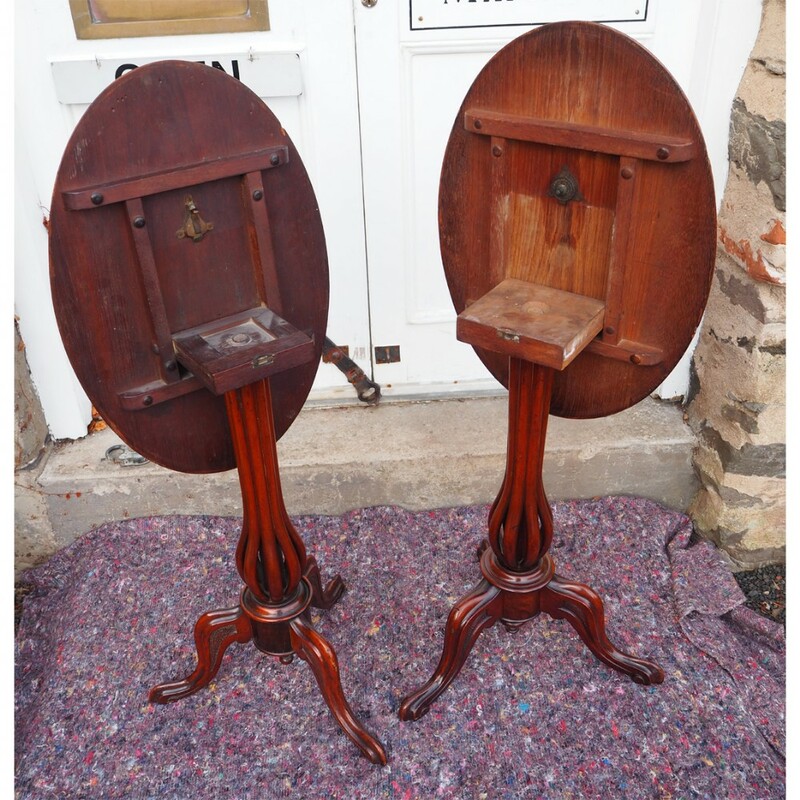 The tables are both tilt top with original brass catches. 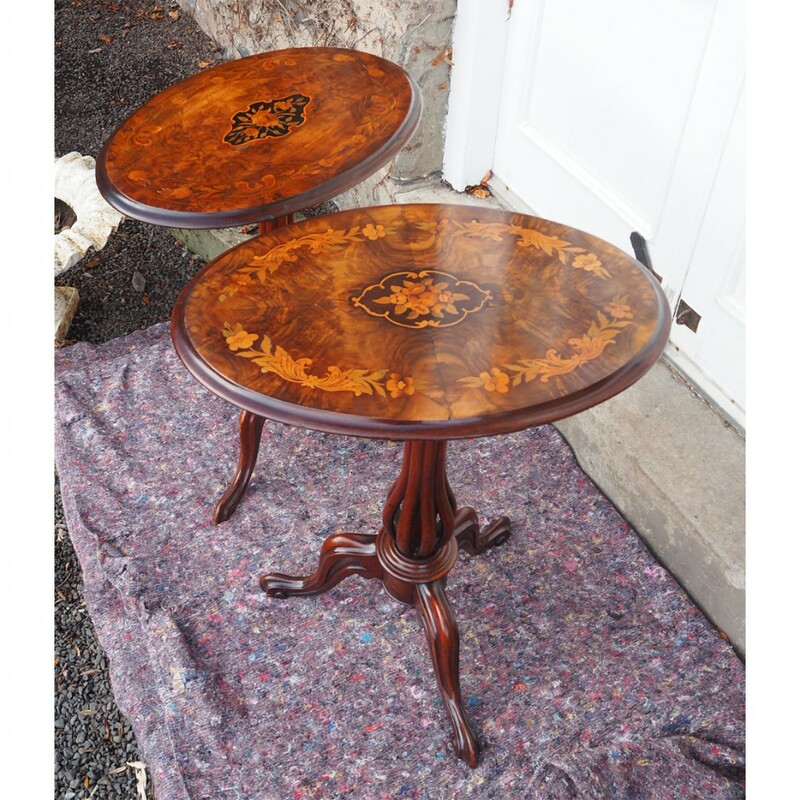 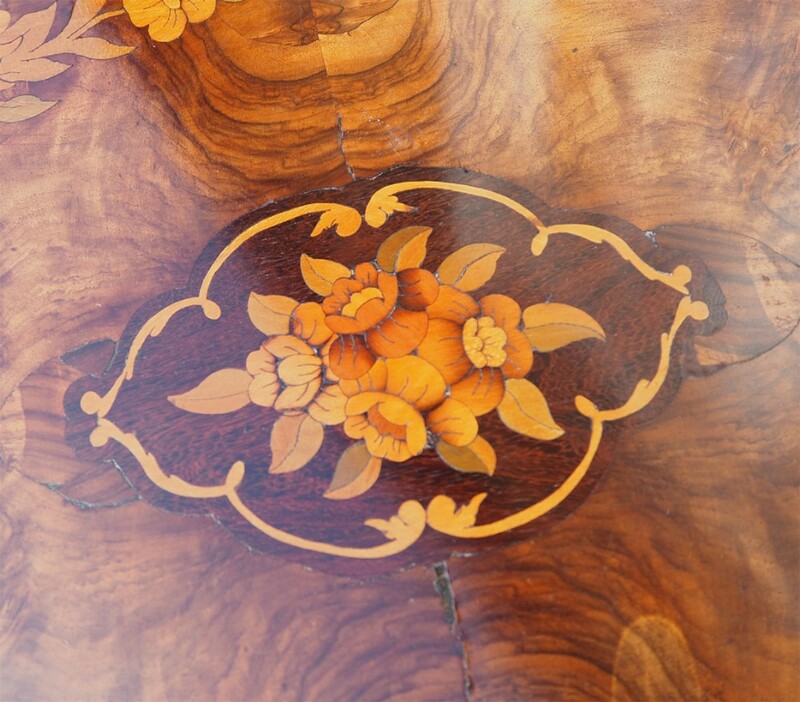 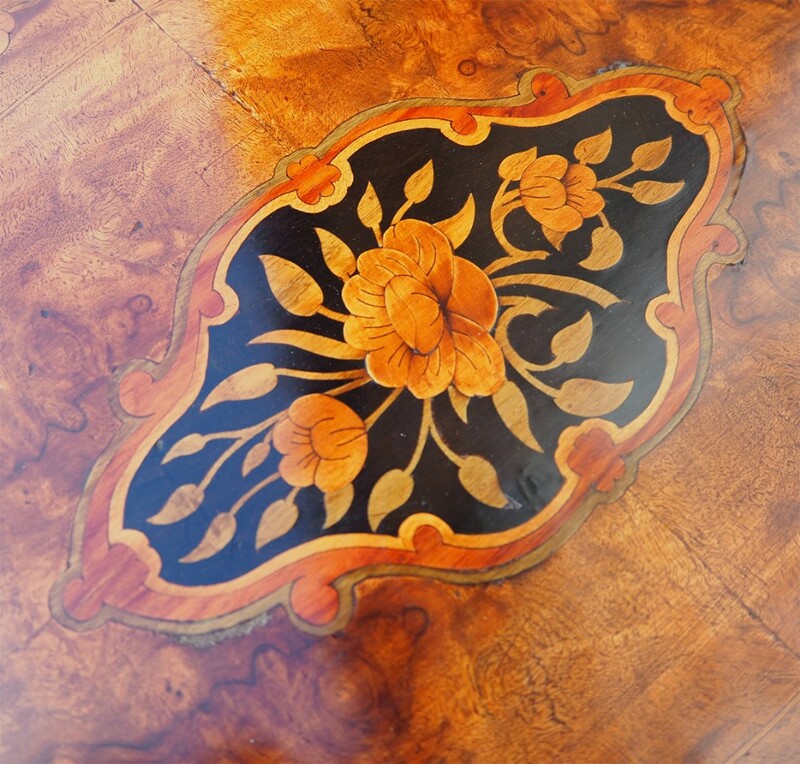 The tables have recently had the tops professionally re-polished and as such are in very good condition. 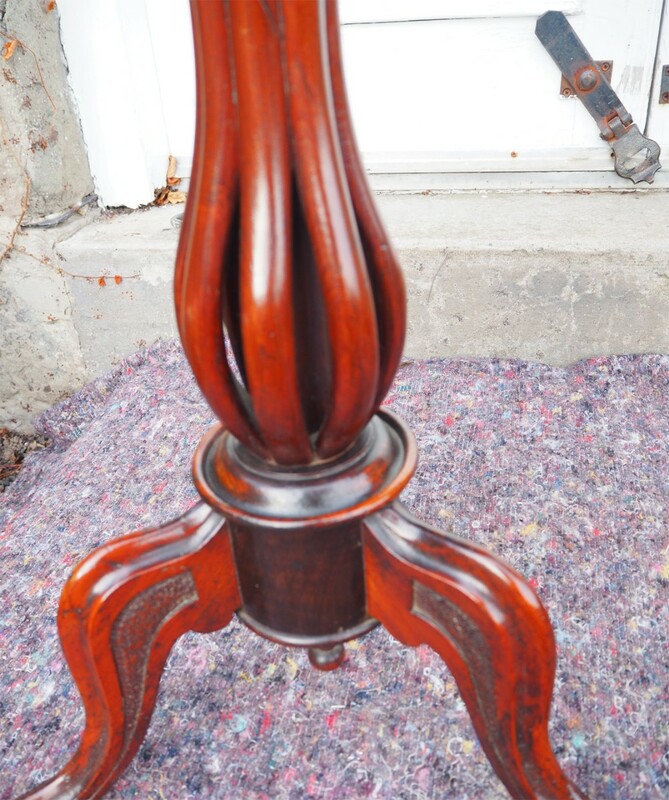 There are no repairs that I can see and all the legs are sound. 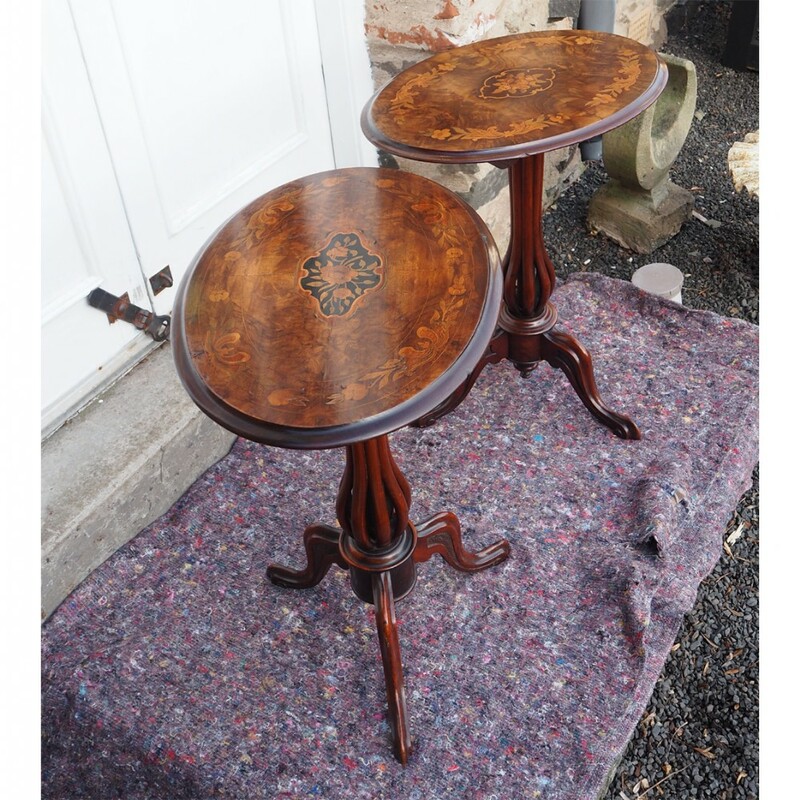 Rare to get such a nice pair of tripod tables. 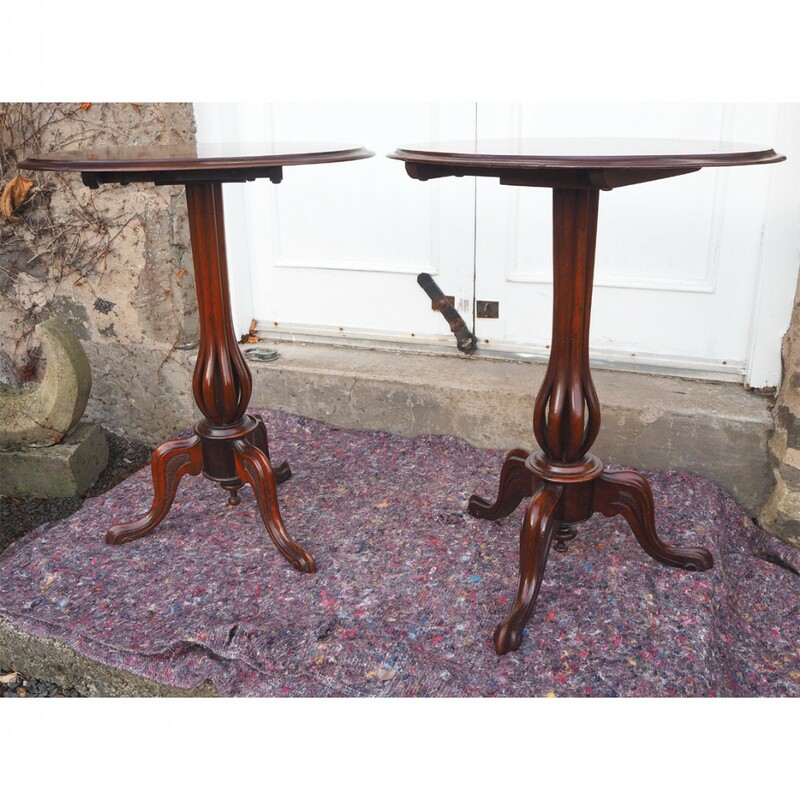 The NEAR PAIR VICTORIAN WALNUT TRIPOD TABLES has been added to your saved items.